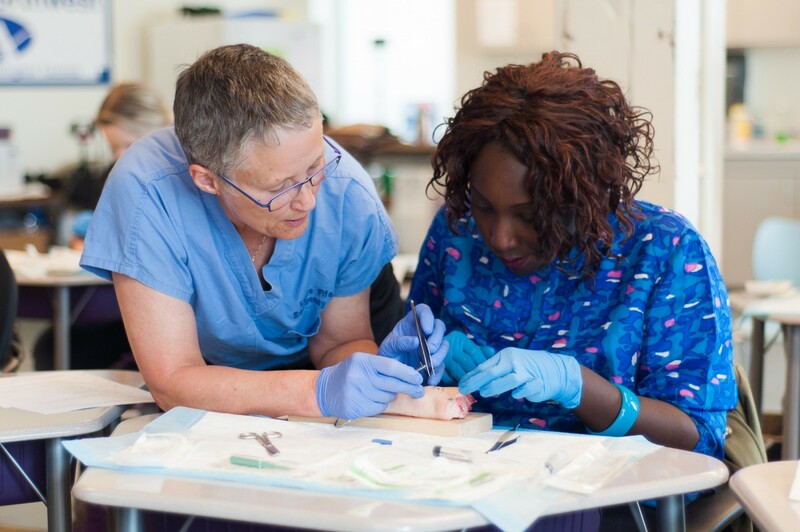 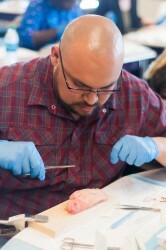 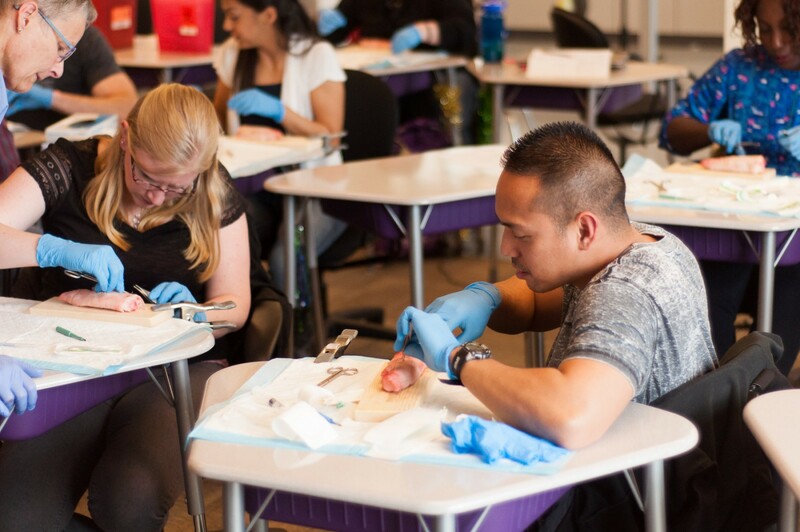 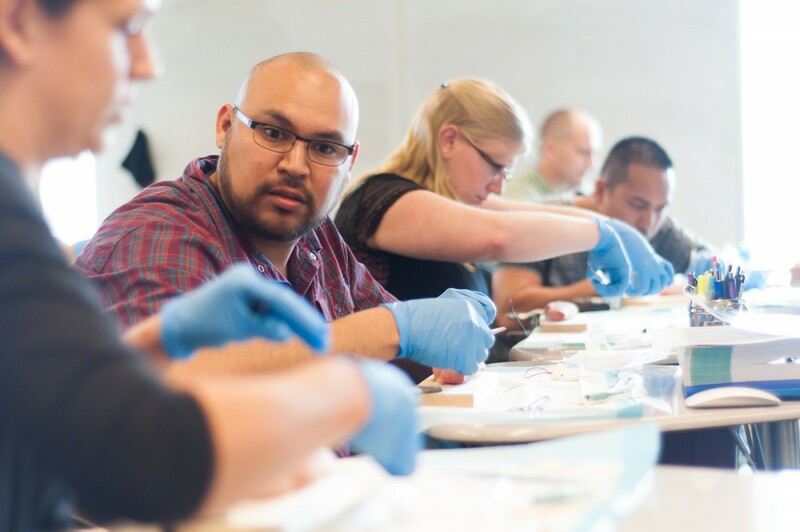 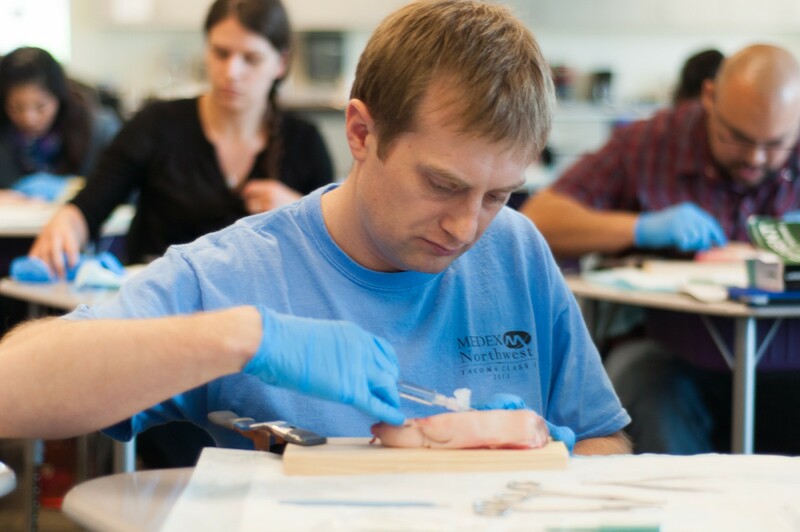 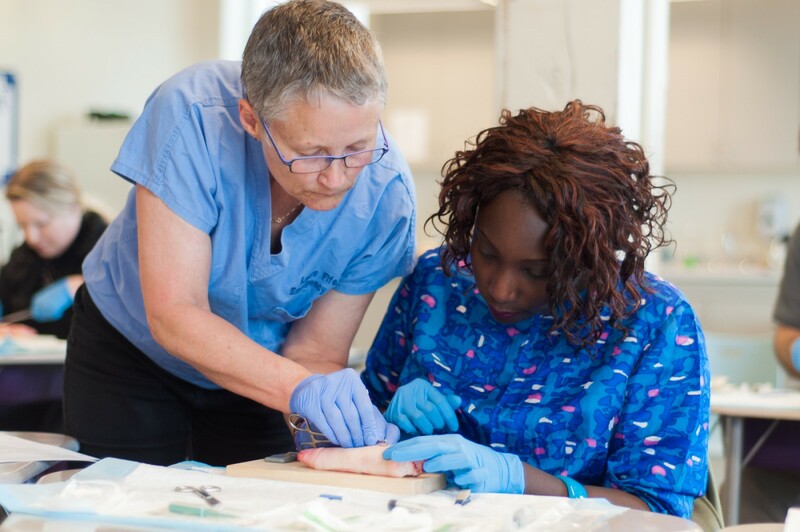 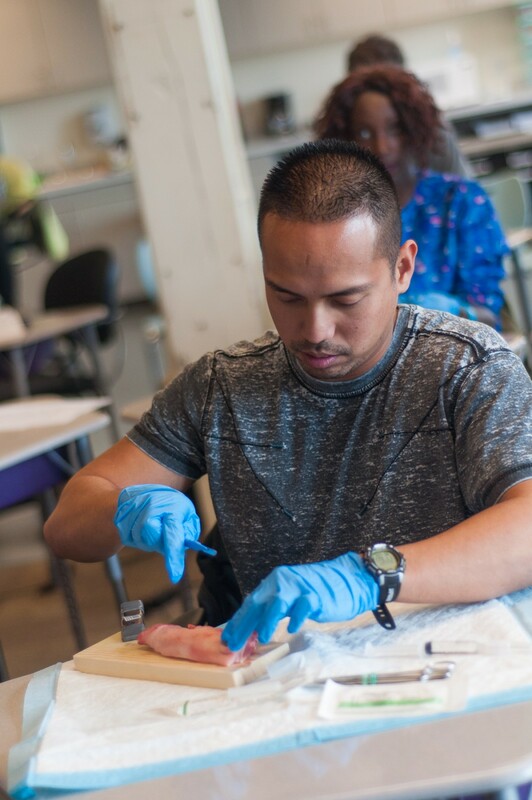 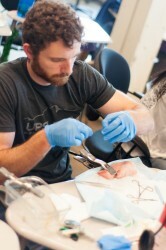 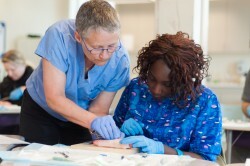 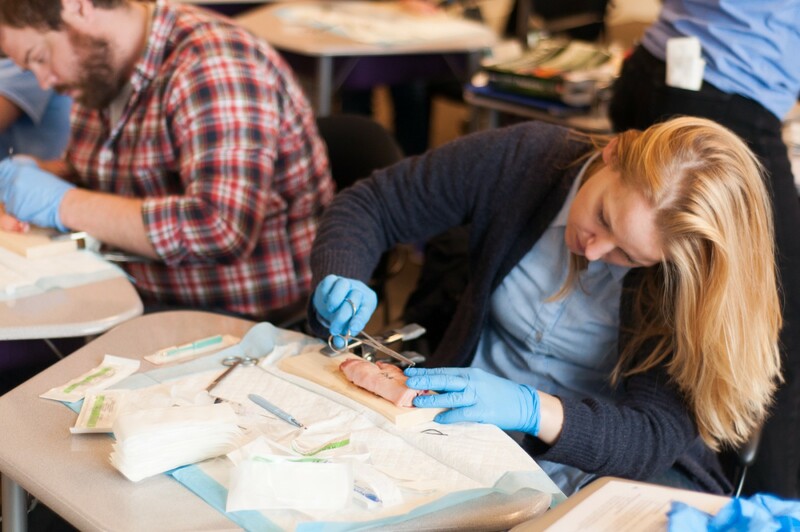 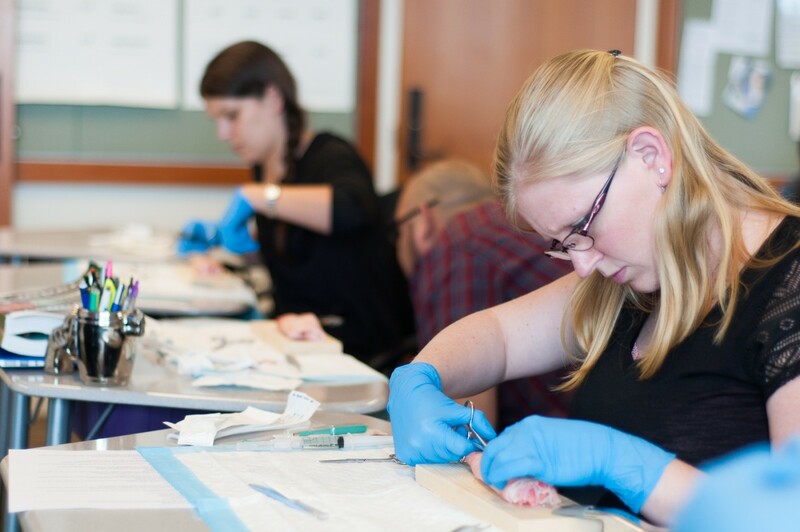 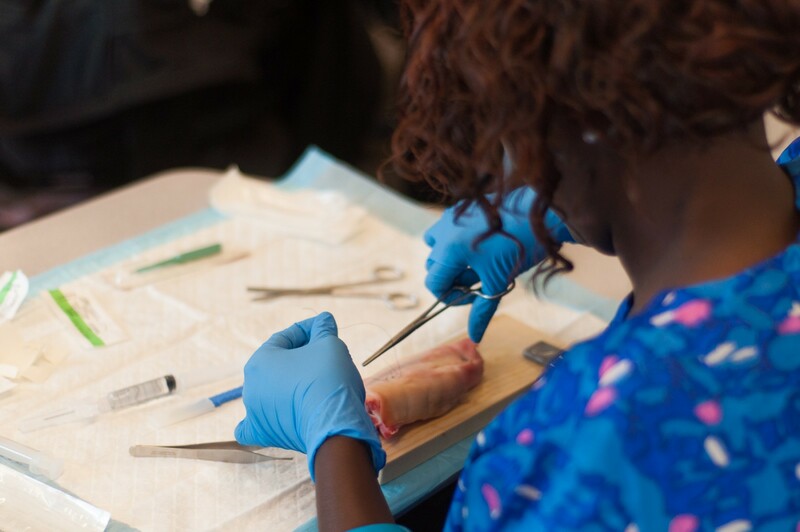 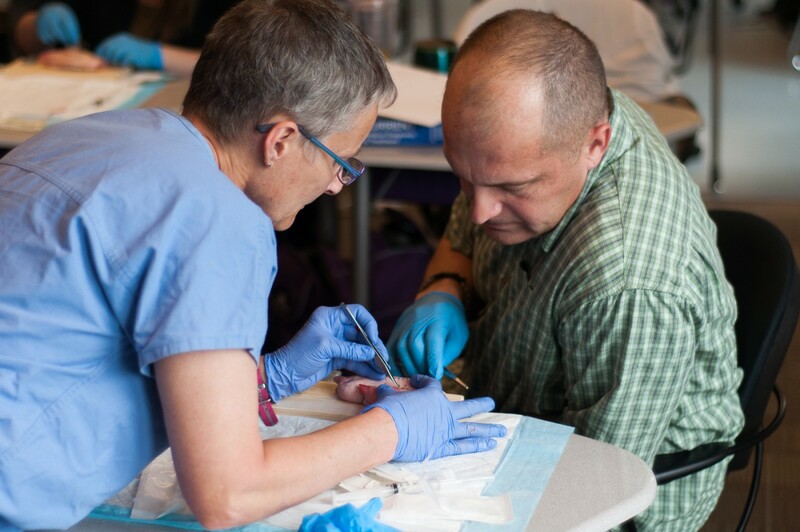 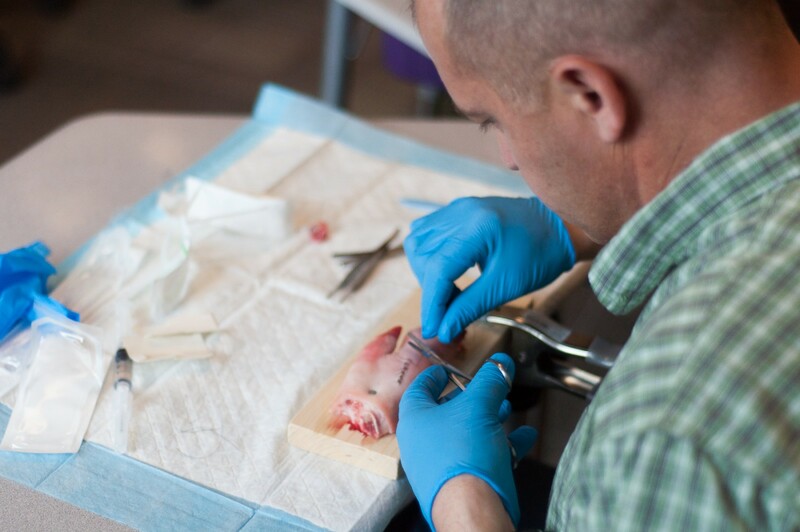 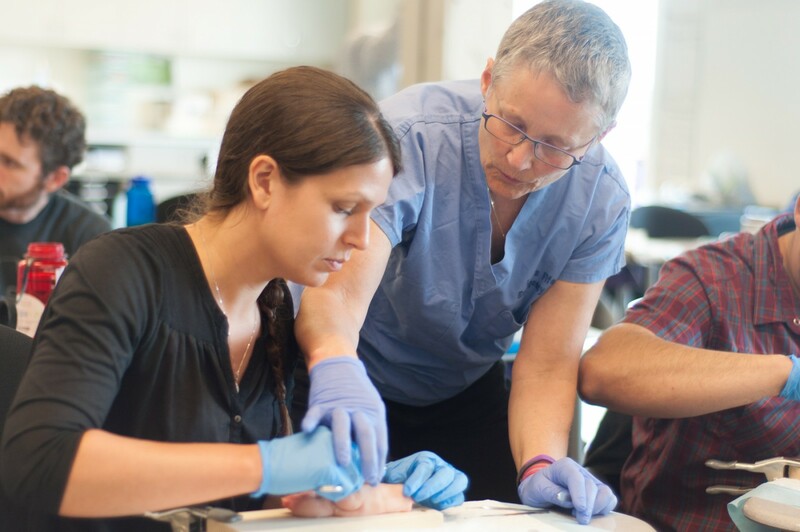 In spring of 2014, the Tacoma Class 1 didactic students participated in a suturing workshop. 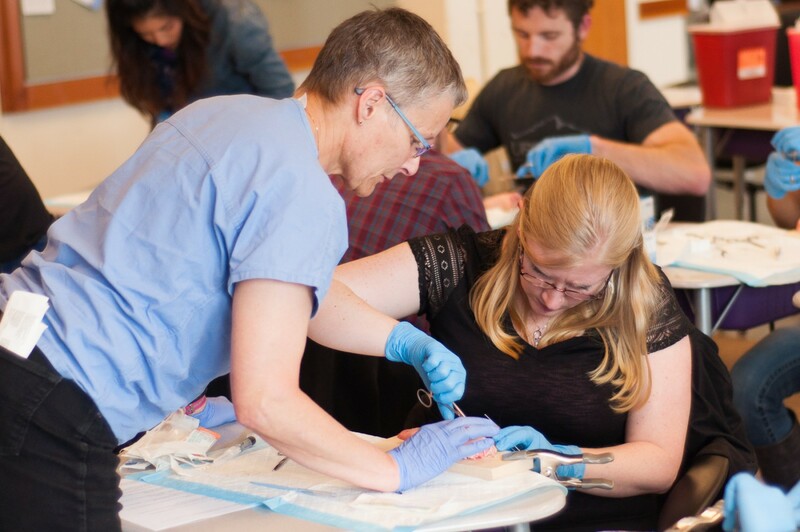 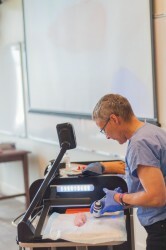 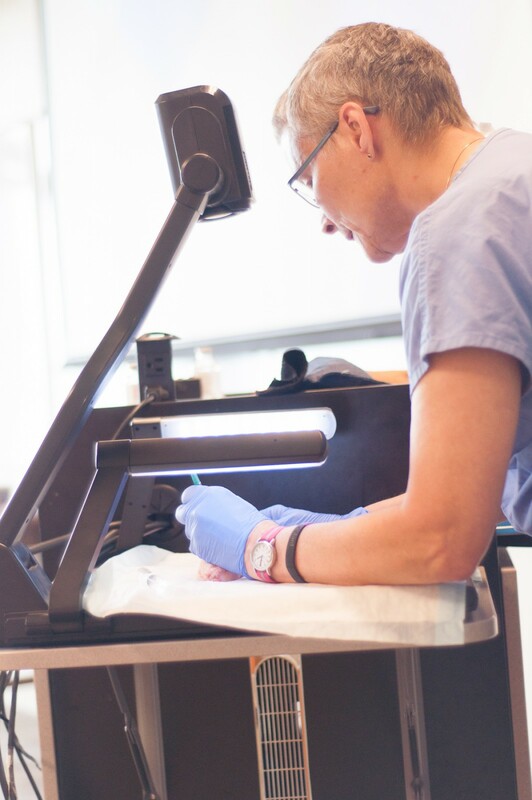 Dr. Laura Fife of UW Medicine lectured the students on the topic, giving them the opportunity to develop their wound management, suturing, incision and drainage skills in a controlled, classroom setting. 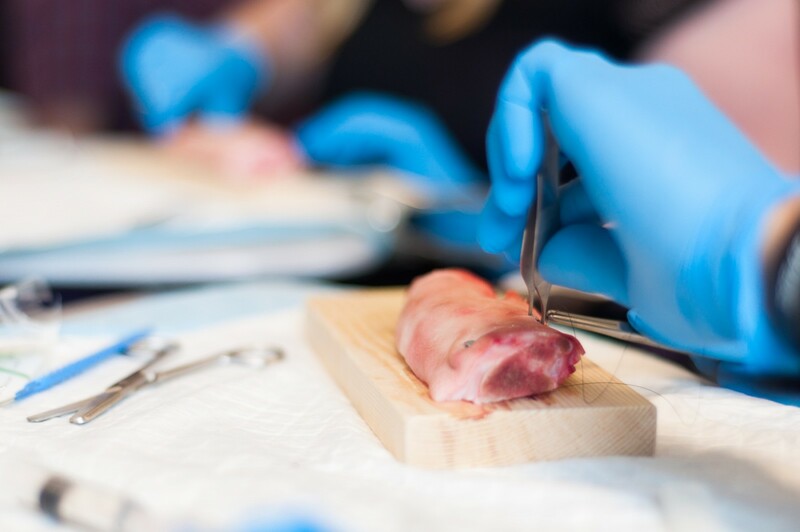 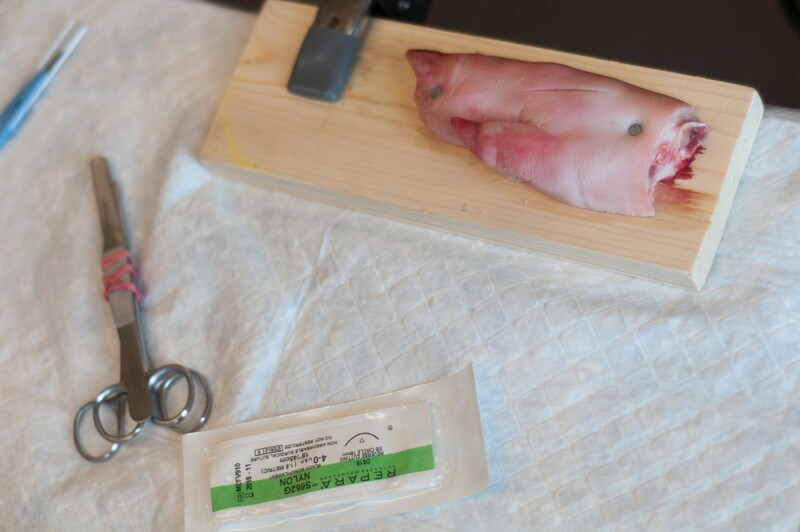 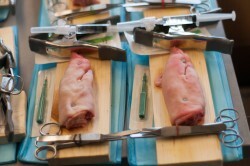 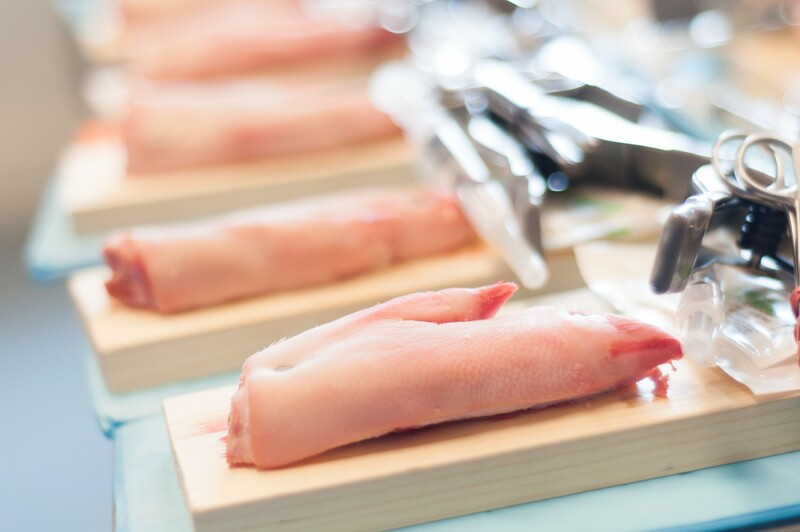 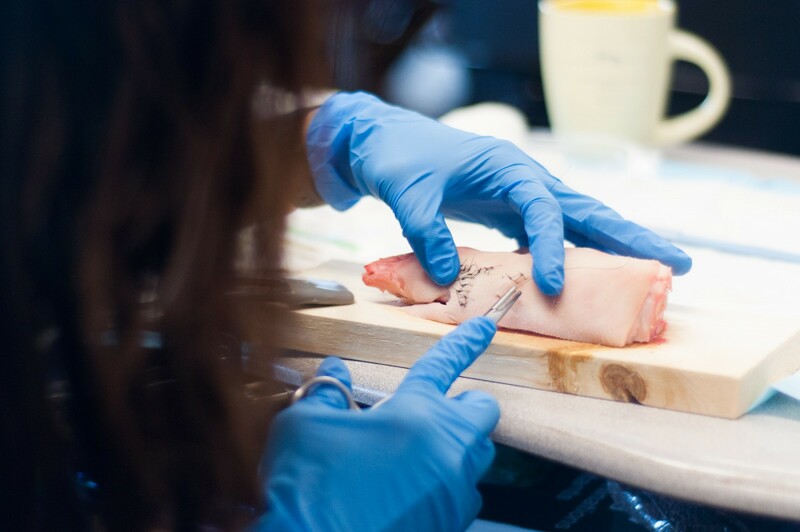 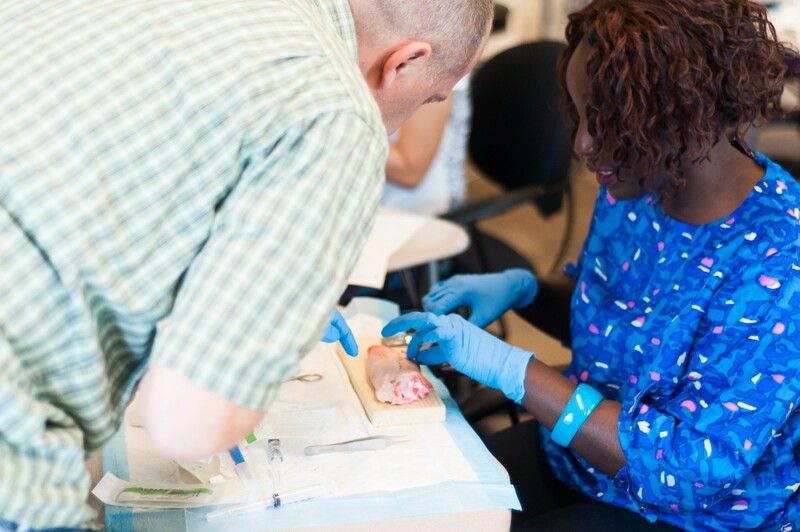 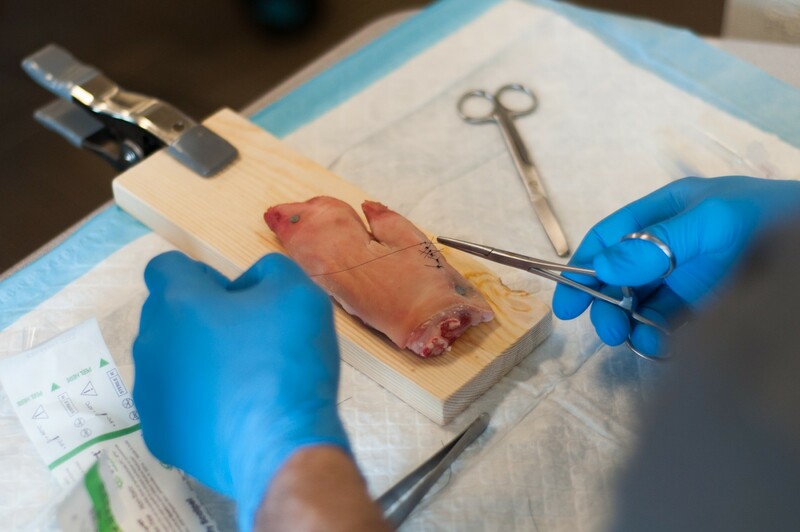 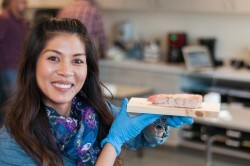 Using pig’s feet, participants learned how to tie various types of surgical knots, administer local anesthesia, classify wounds, and perform punch biopsies.